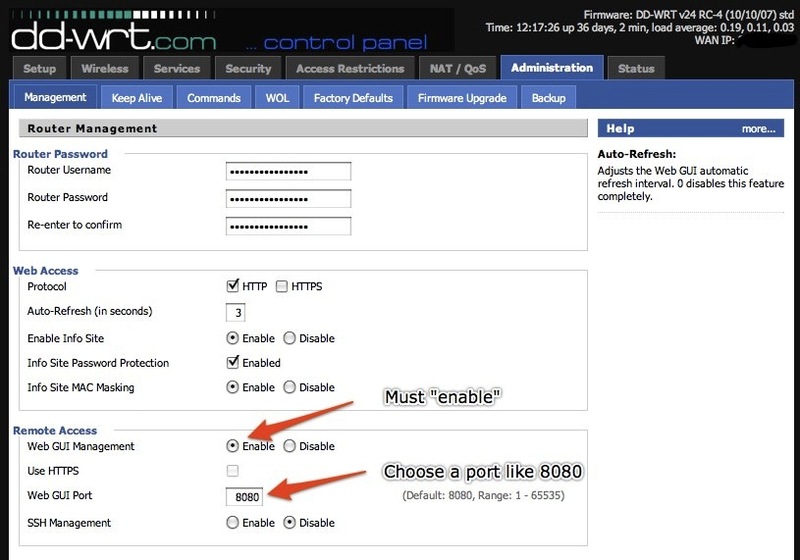 2) Click on radio button to enable Remote Access and then select a port (if you want something other than 8080). The default port is a pretty safe port to choose. You should ONLY change this if you know what you are doing. 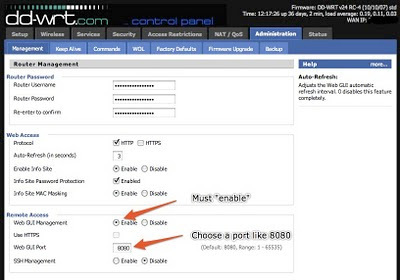 3) While on this page, if you have not changed your routers password, do so now as well by entering it twice.